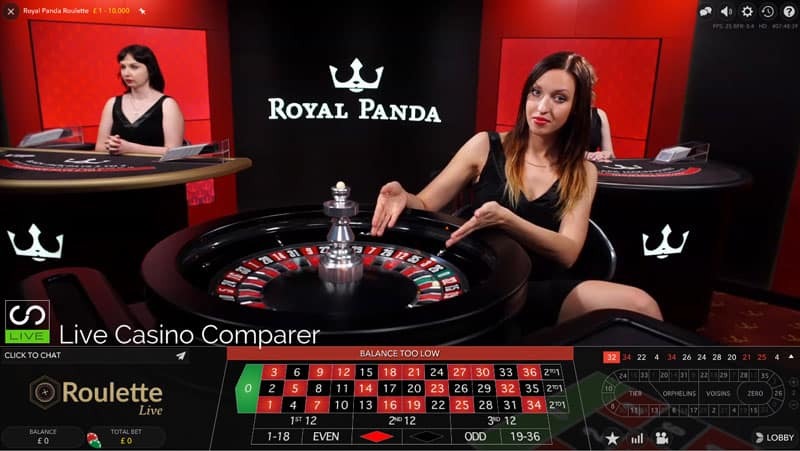 Following the successful launch of a dedicated live blackjack table back in March 2016, Royal Panda have completed the build of their very own dedicated live casino area at Evolution’s studios in Riga. 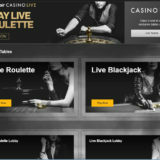 They can now offer two dedicated live blackjack tables and a dedicated live roulette table. 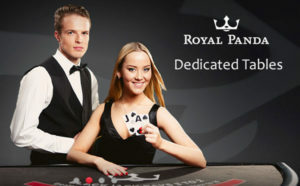 Stake ranges at all tables are impressive and will suit all players. Blackjack players can play from a minimum of £/€ 5 a hand while high rollers get their own table and can bet up to a maximum of £/€ 10,000 a hand. 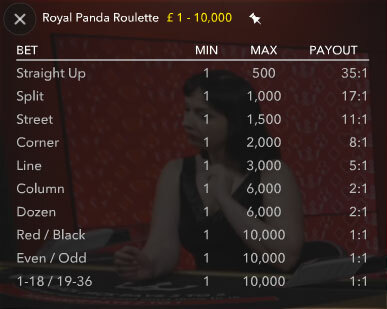 Live Roulette lovers will find stakes from £/€ 1 a spin up to a table maximum of £ / € 200,000. 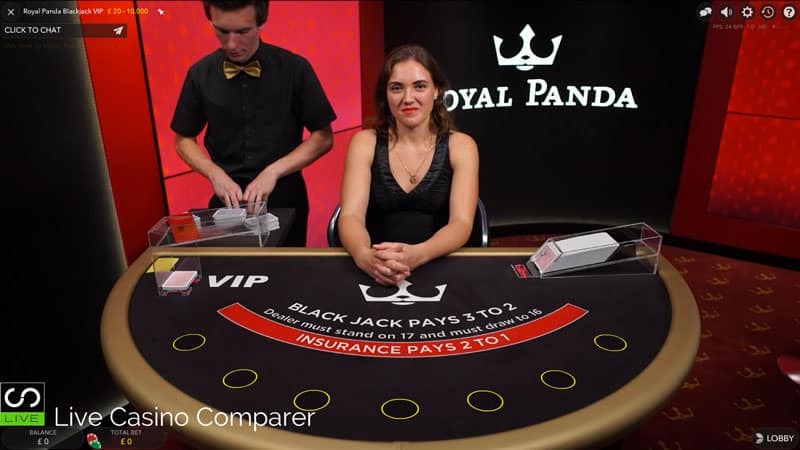 Both Blackjack tables have 7 seats. 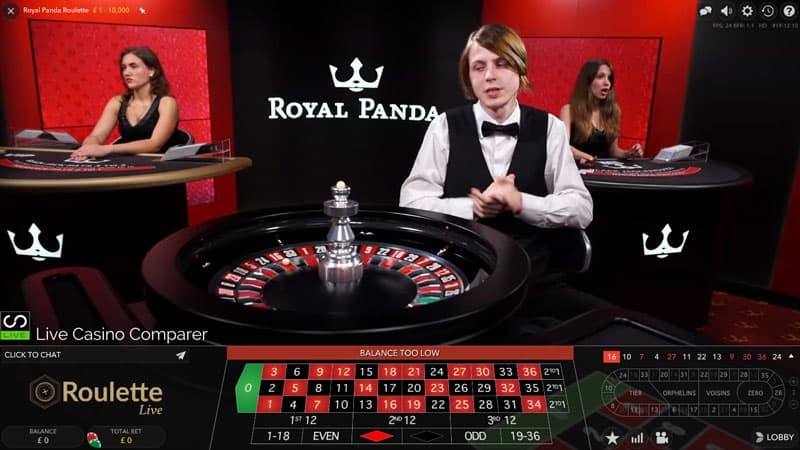 An 8 deck shoe is used and the game is played under Vegas rules. There is a full range of Blackjack side bets, Bet Behind, Perfect Pairs and 21+3. 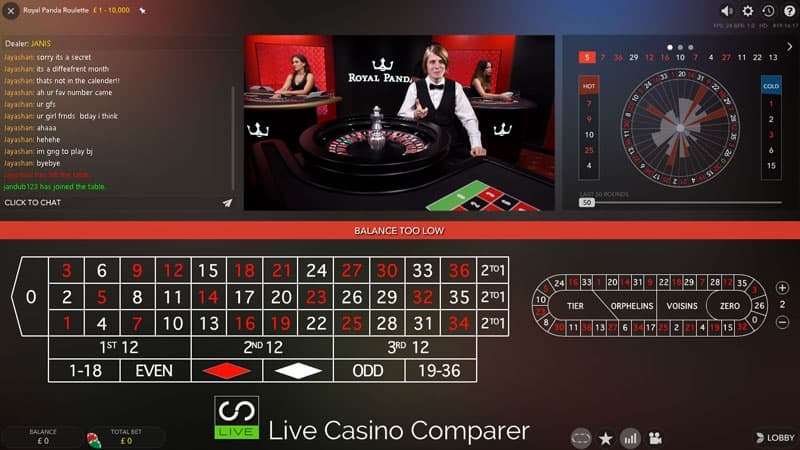 Its standard European Roulette using the immersive multi camera technology to display the table from many angles. You can choose the camera positions you prefer or view in classic mode which surprisingly is just as popular. Stake levels are broad with a table limit of £/€ 200,000, which is one of the highest around with only William Hill being able to top it. 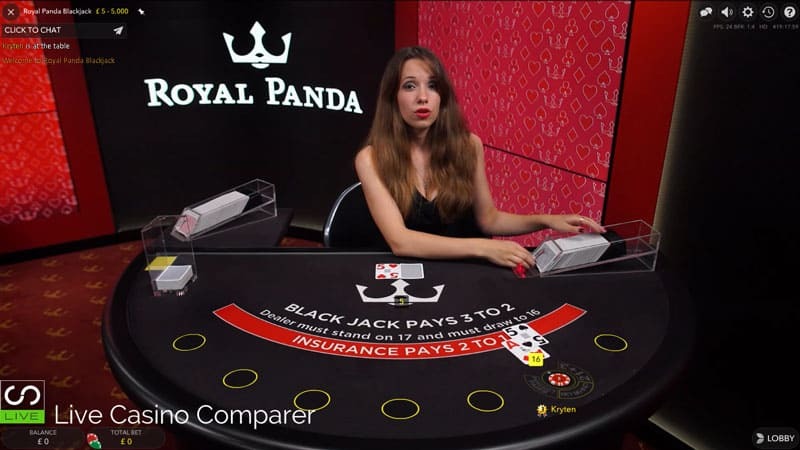 I’m pleased that Royal Panda have invested in their own dedicated area for their Live Casino. 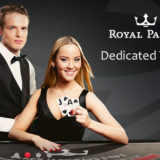 It makes all the difference when you have a casino that you like playing at goes that extra step to personalise the playing experience. 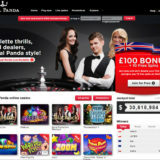 Royal Panda are a popular casino site for Slot players. 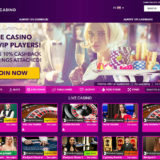 They get good reviews on the player forums like Casinomeister and I’m going to be happy to add them to my live casino reviews shortly.